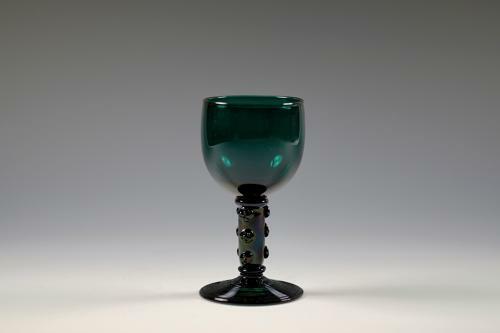 Green wine glass with nine strawberry prunts, cup bowl and trail decoration to foot. English C1830. Note: A very nice well made glass.